Factory warranty until September 06,2020 or 500 hours,whichever comes first. 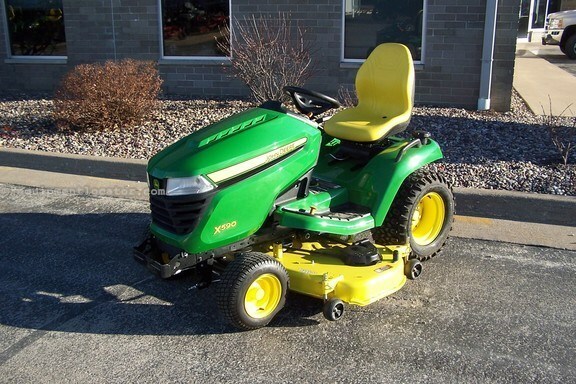 Equipped with a 54" accel mower deck with a mulch control option and heavy duty all purpose tires. Fuel injected 25.5 hp Kawasaki v-twin engine,hydrostatic transmission with rear differential lock,power steering,hydraulic mower deck lift,tilt steering wheel,adjustable seat,cruise control,LED instrument display with hour meter and fuel gauge,12 volt outlet,toolbox and cup holder. Service work performed including changing engine oil and filter,new air filter,fuel filter,spark plugs,changed transmission fluid and filter,sharpened mower blades,leveled mower deck and greased unit. Wash,waxed,touched up and ready to go!! !